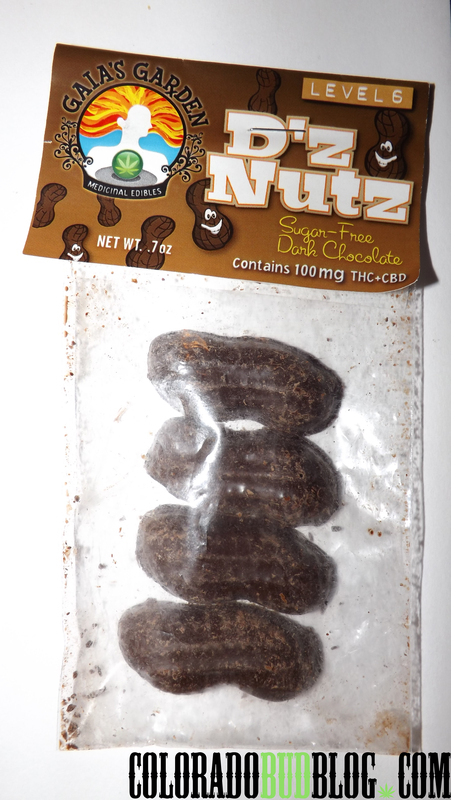 D’z Nutz Dark Chocolate Pieces from Gaia’s Garden Edibles. Smooth dark chocolate in the shape of peanuts. However, there are NOT any peanuts in this! 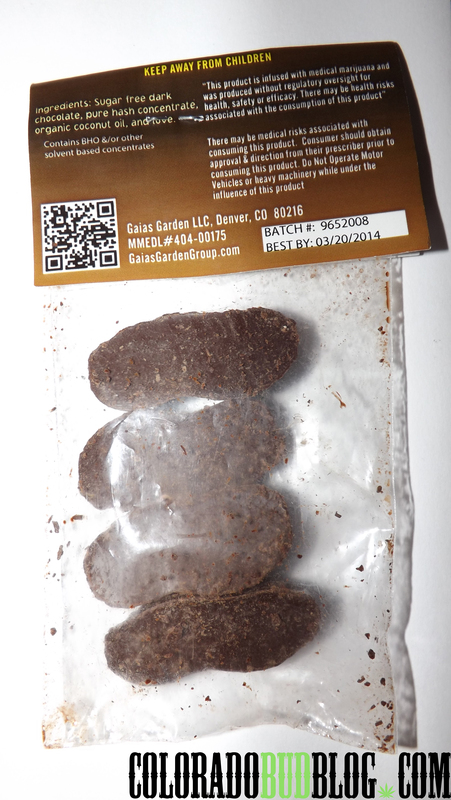 100mg THC/CBD per package, 25mg per piece.